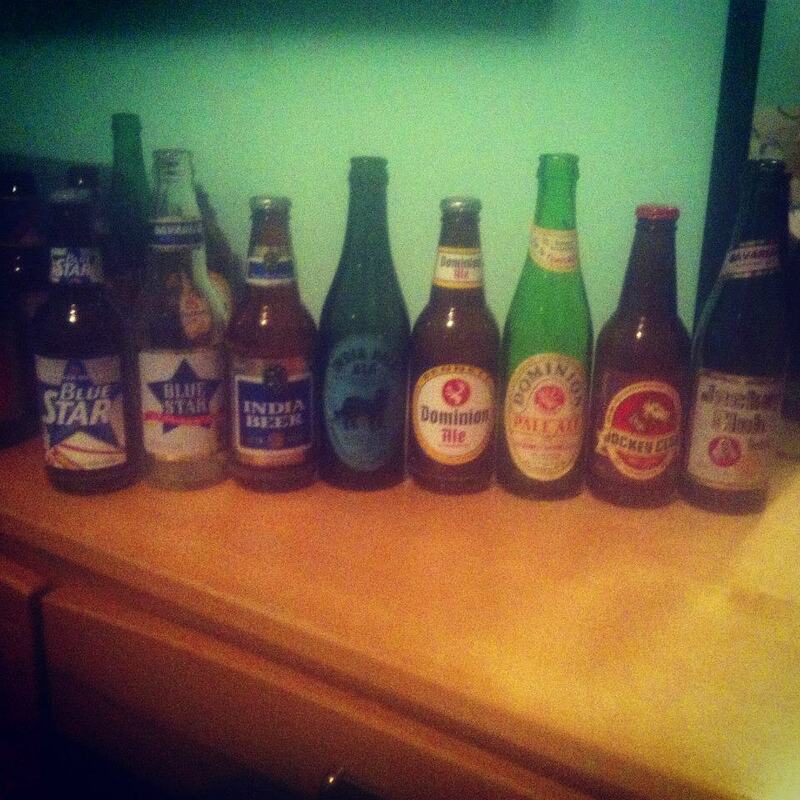 I was looking though some photos of old Newfoundland beer bottles I took on my trip back home in June of 2012 and noticed that I haven’t posted all of them! 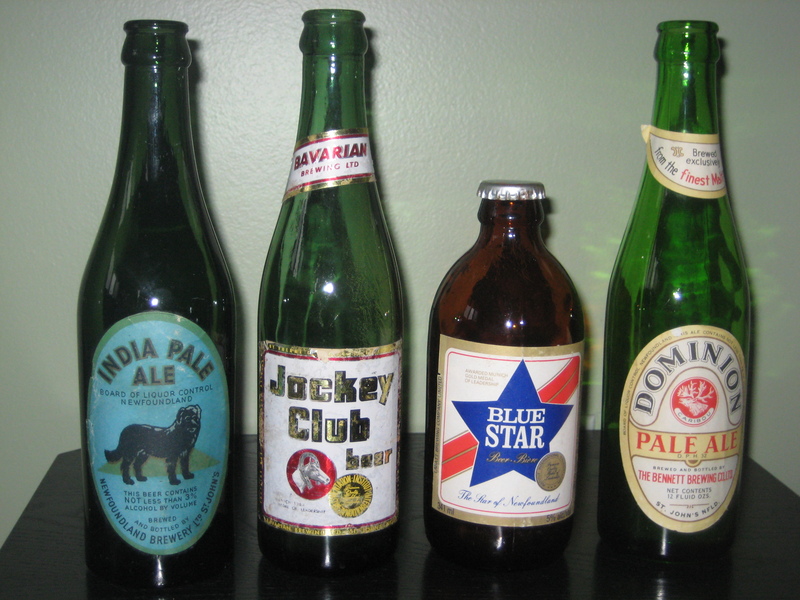 In particular, I had missed posting some old Bennett Dominion Ale and India Beer bottles. First, a pretty sad specimen that I found in my parents garage. It wasn’t really preserved with care! 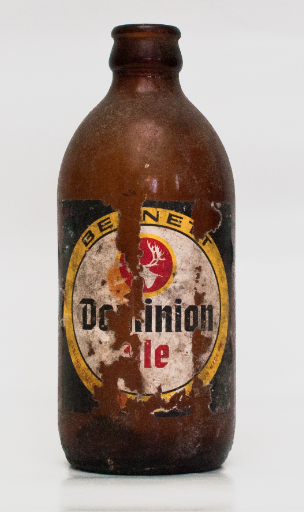 A pretty sad specimen of the 1980s Bennett Dominion Ale stubby, my collection. The next is a collection that I picked up from a collector in Grand Falls. 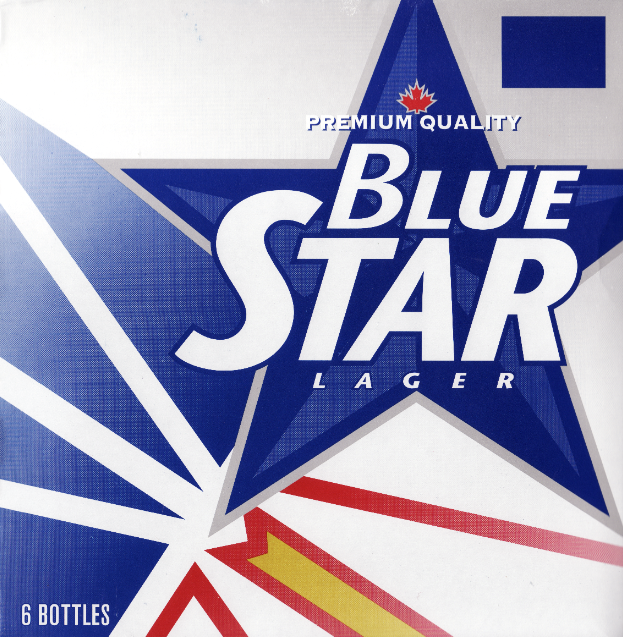 It has an old India (1960s), a Jockey (1960s), a Blue Star (discussed here), and a much older Dominion (1960s). 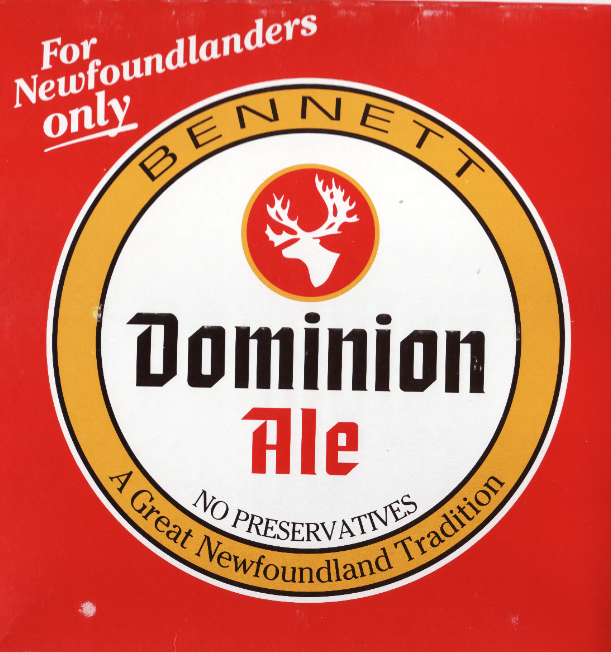 Here is a bit of a close up of the Dominion “Brewed exclusively from the finest malt and hops” and the old blue India label. 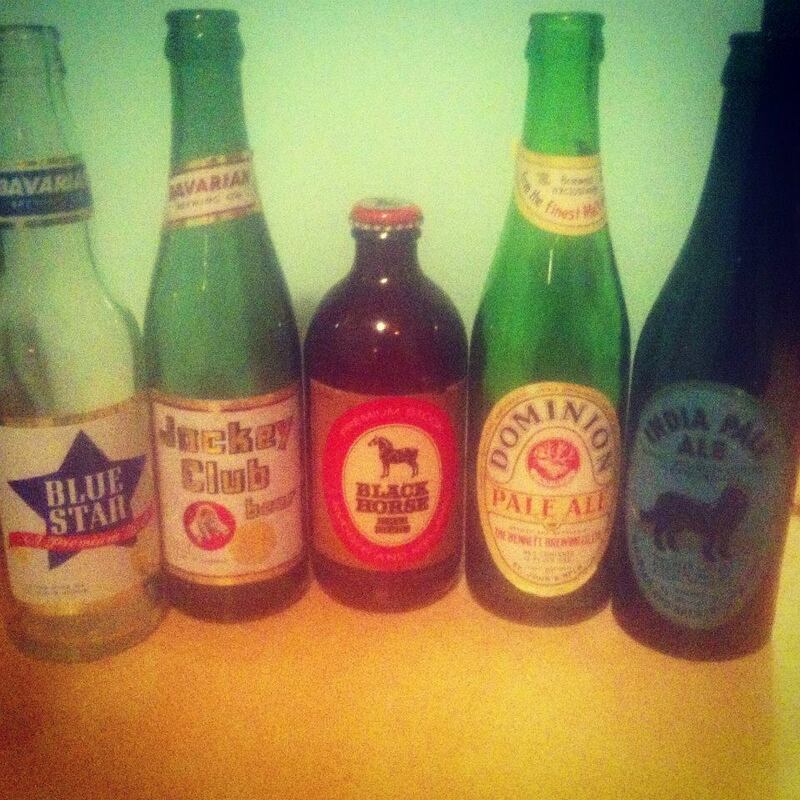 Dominion Ale, c. 1970s, my collection. 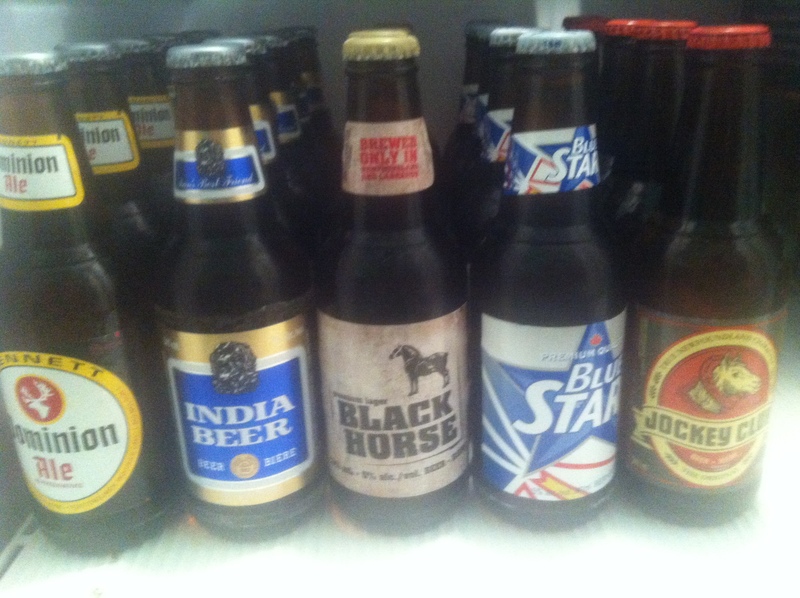 India Beer c. 1970s, my collection. 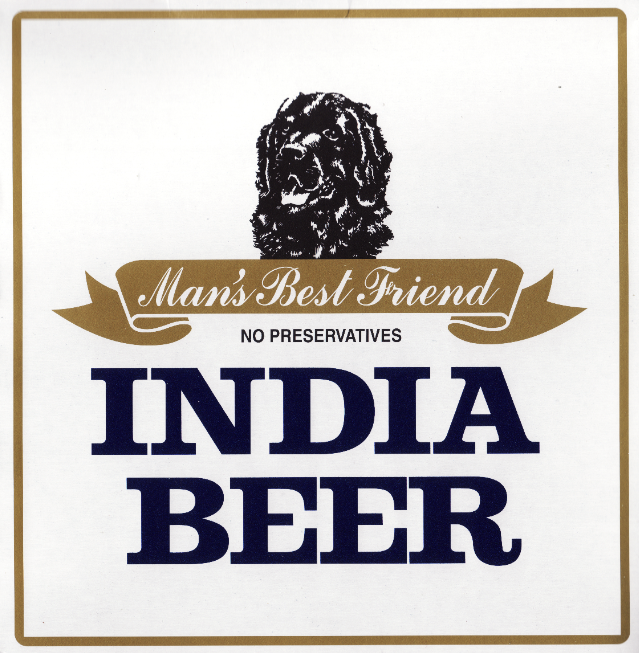 The blue India label is, of course, not the original parallelogram-style label that you can see on the main overview. 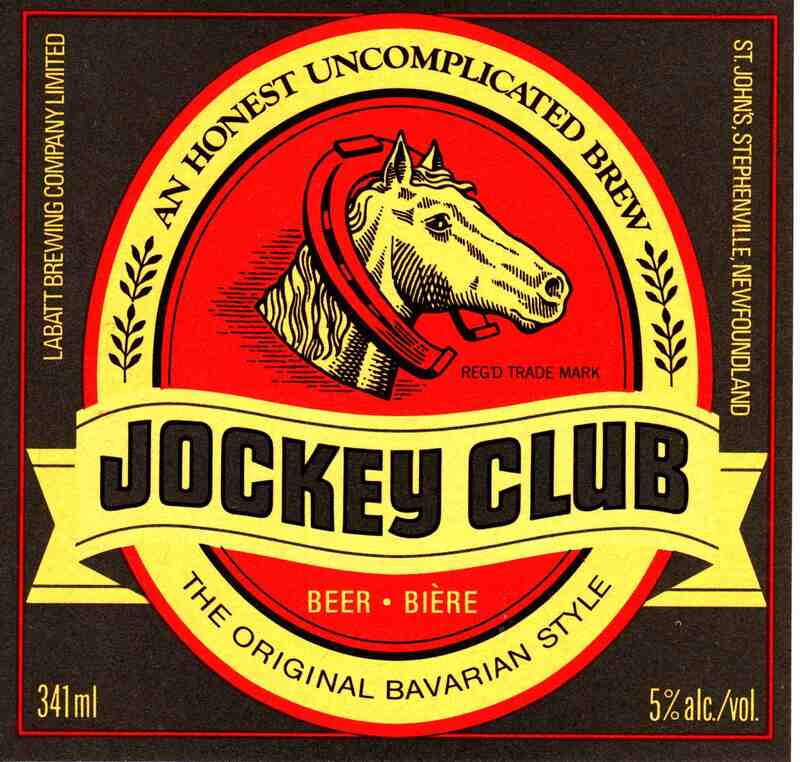 Speaking of that design, however, reminds me of an odd bit of internet reflexivity. 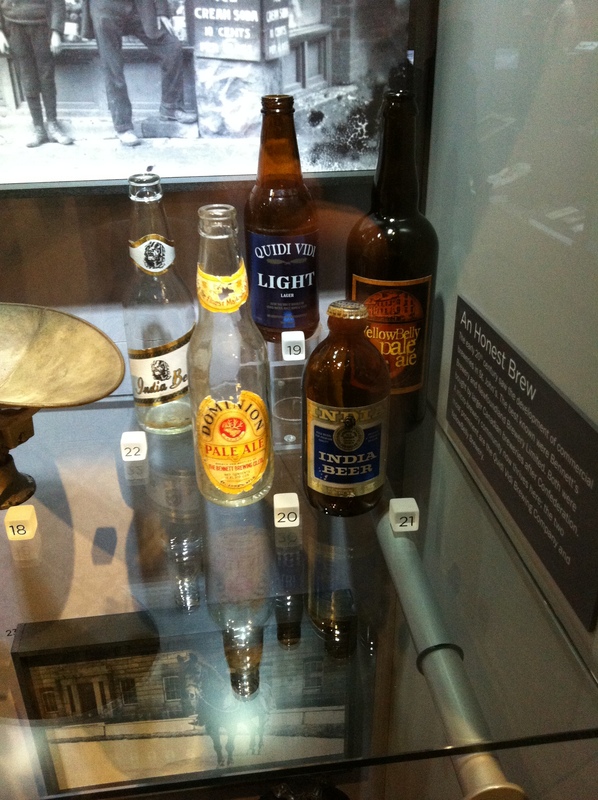 The Obsolescence Project that takes beautiful pictures of old objects recently featured an old india beer bottle. 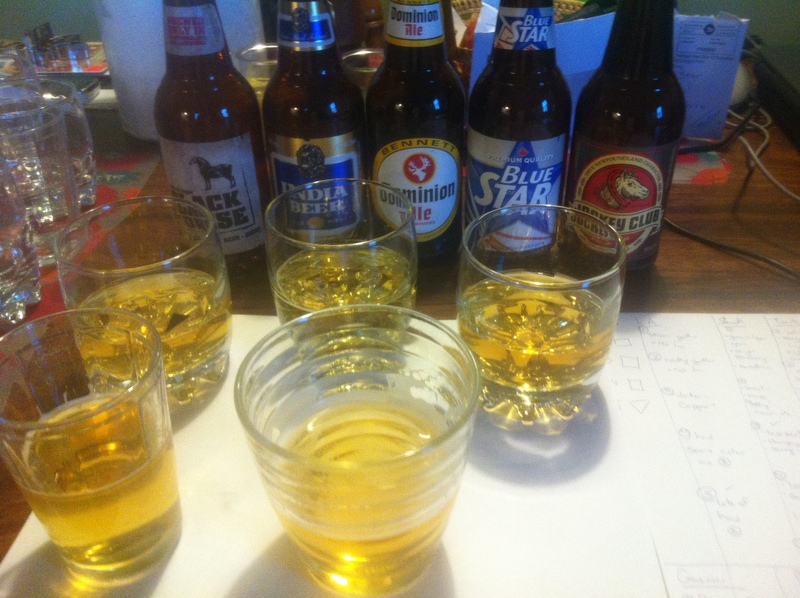 It’s one of the old parallelogram-labels and they even link to nlbeerhistory.com as a useful and “incredibly comprehensive site” for finding out about Newfoundland’s beer history. That’s little ol’ me! So, please do check out their fantastic photos. 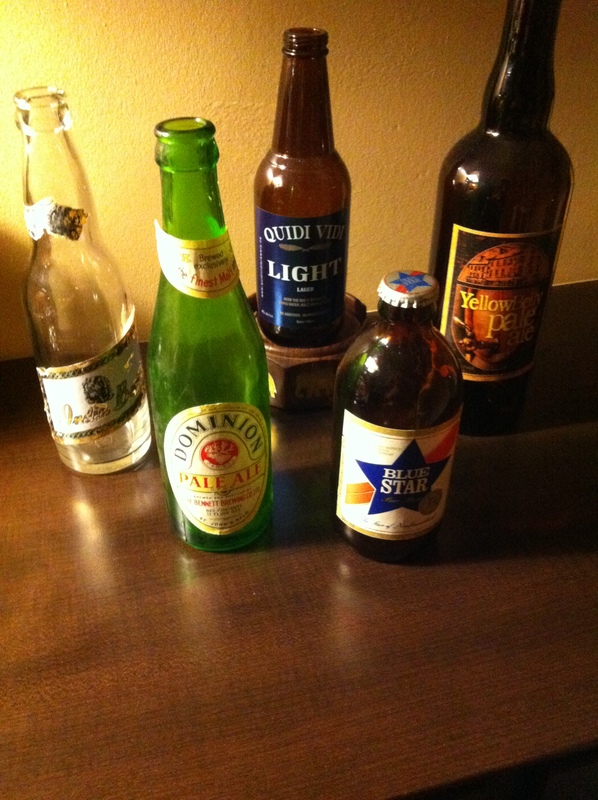 They have also featured an old Dominion Ale stubby that is also well worth checking out! 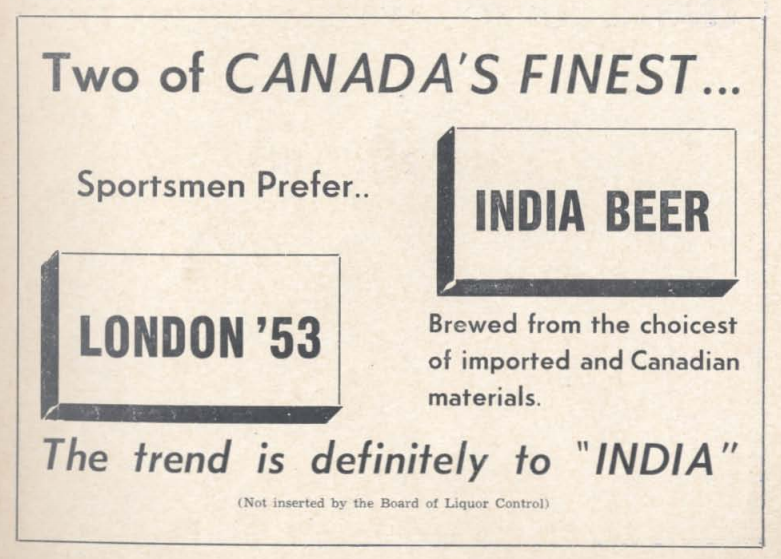 I was poking through some old issues of The Newfoundland Quarterly from WWII this morning and I found a really great advertisement for Newfoundland Breweries’ India Pale Ale. 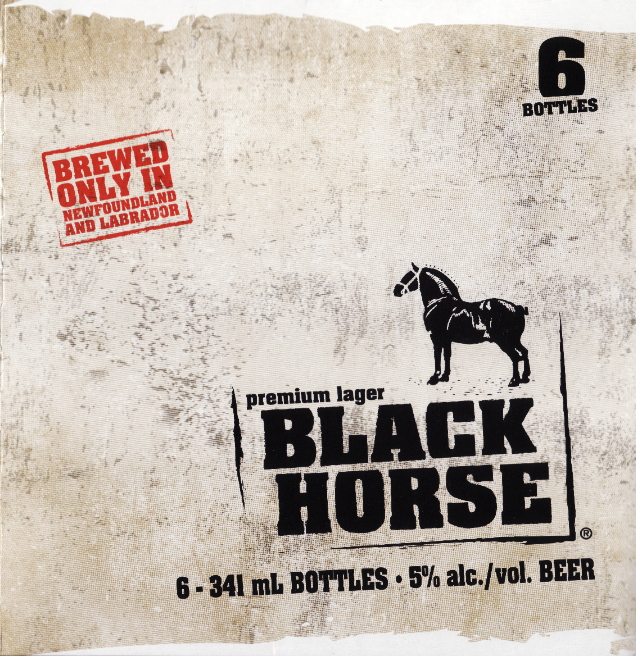 It boasts that 90% of the malts and hops used in the India Pale Ale are still from Brittan and that drinking IPA is your patriotic duty. Demand it! From The Newfoundland Quarterly, Volume 40, Issue 2, Autumn 1940. 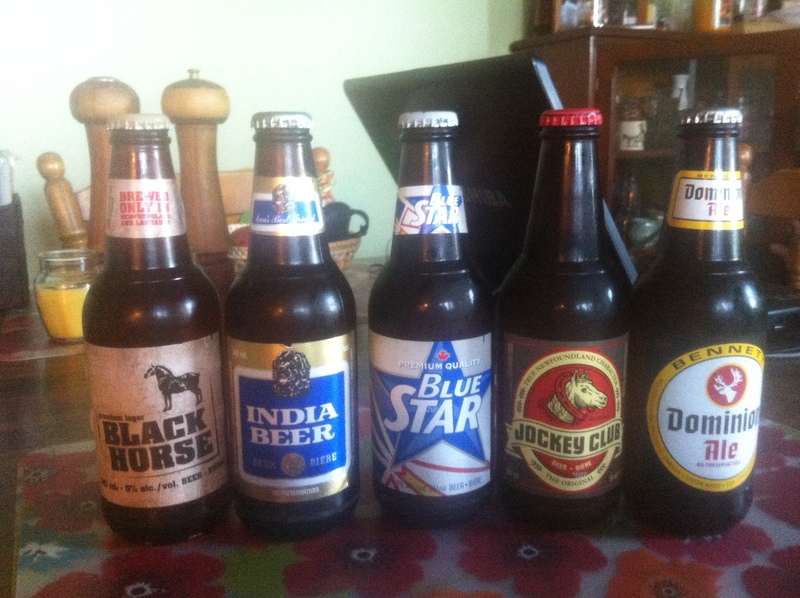 Today, a few more advertisements of beers by the Newfoundland Brewery Limited, India Beer and India Pale Ale. 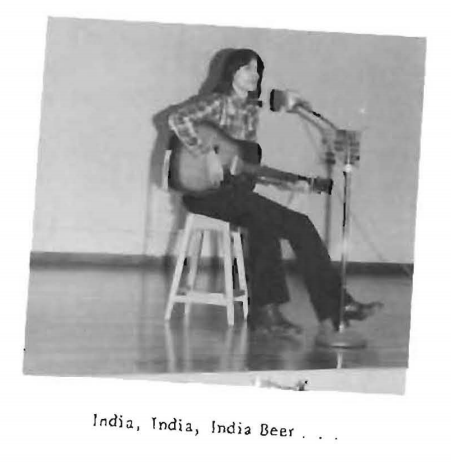 An unnamed young man sings about his India Beer in The Collegian, 1974-1975 (the yearbook of Prince of Wales Collegiate, a high-school in St. John's). This one from Burkes Ballades (1960?) offers free home delivery! 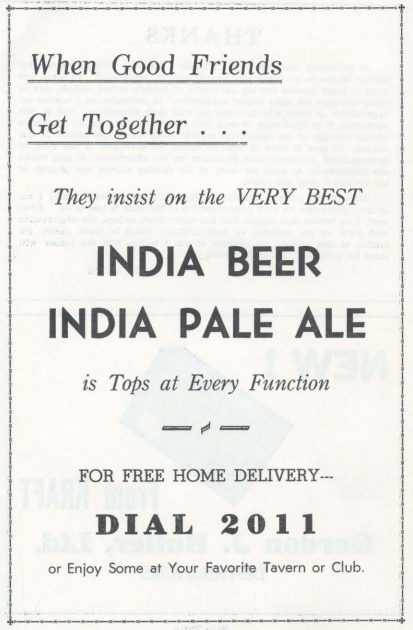 India beer advertised with a lesser known brand, London '53. From The Atlantic Guardian, 13, 1956 (page 23). 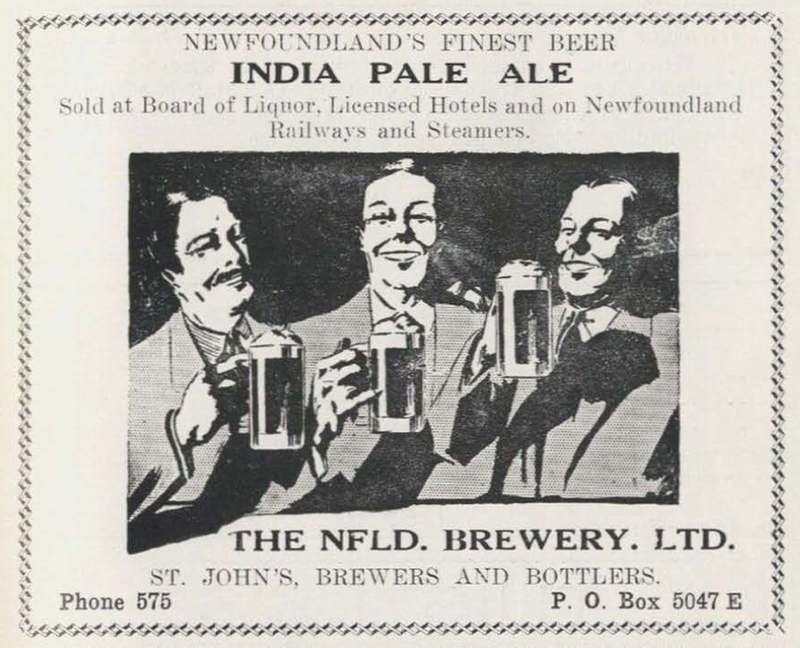 From the Newfoundland Who's Who, 1937 (page 13), three men enjoy frothy glasses of India Pale Ale. 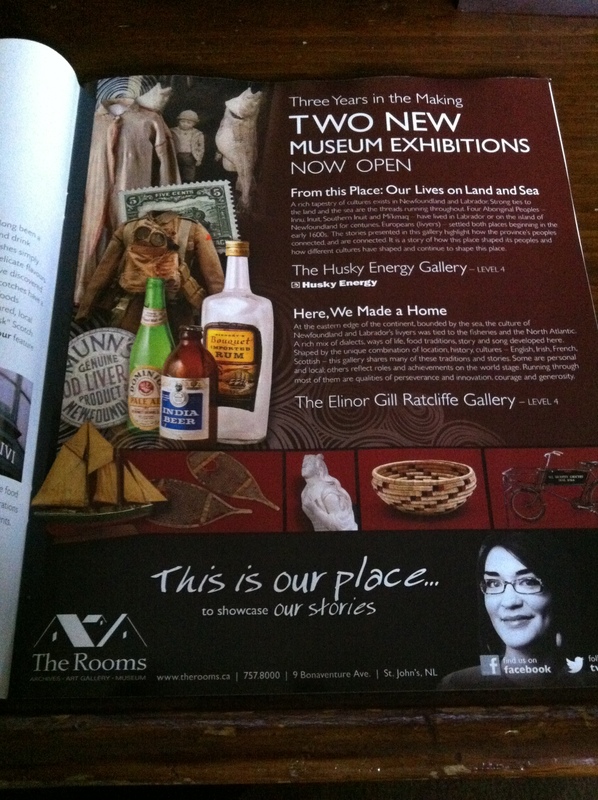 More digging through old Atlantic Advocates today has yielded another gem of an advertisement! This old India Beer advert, from 1959, has to be one of my favorite. Note the label is like the one on the timeline, giving us a little more confidence that the diagonal India label was around for most of the 1950’s (that’s the bottle label, not the head stock one). 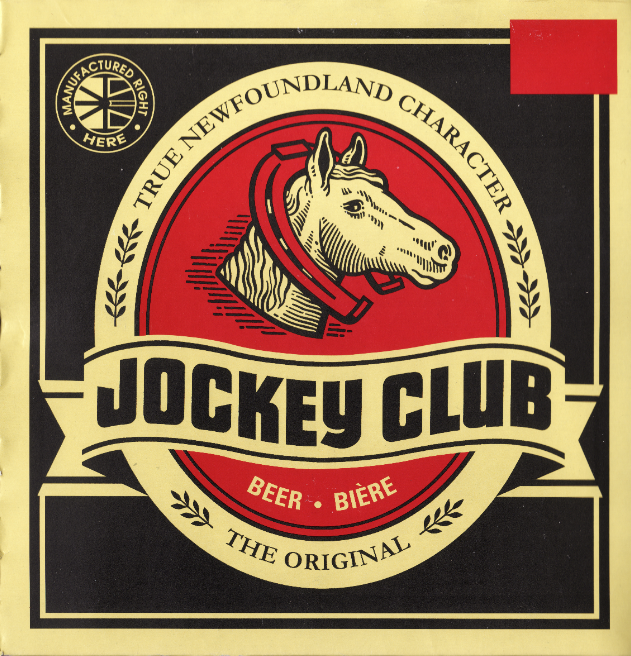 I especially love the slogan “What Newfoundlanders Make, Makes Newfoundlanders,” which would be a great slogan for a contemporary craft brewery. 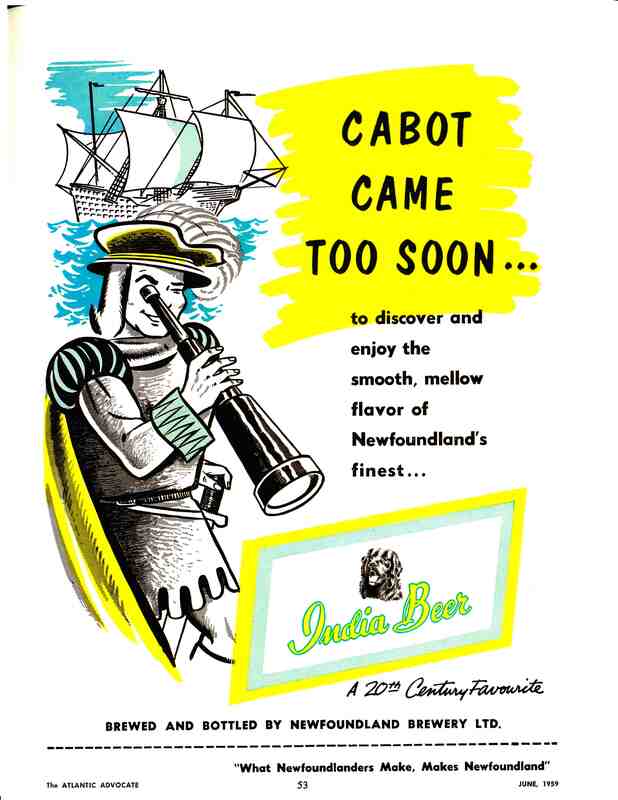 India Beer advert by Newfoundland Brewery Limited, from The Atlantic Advocate, June, 1959. Just a note: I’m guessing this was in the June issue due to Cabot’s landfall in Newfoundland somewhere near June 24, 1497. This would have been just in time for the “Cabot 462” celebration!